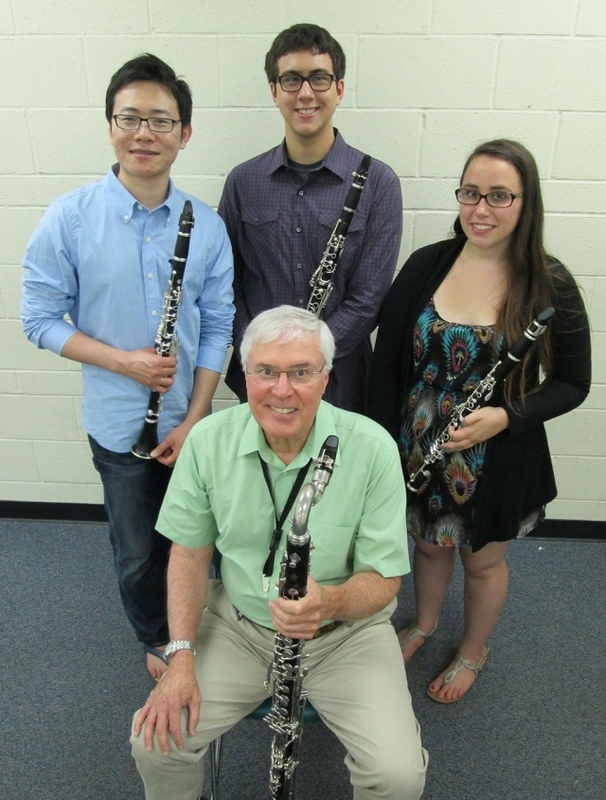 THOUSAND OAKS, CA - California Lutheran University faculty and students will present a clarinet concert at 7:30 p.m. Friday, Sept. 20, in Samuelson Chapel. Music professor Daniel Geeting will join Graduate School of Education student Alyssa Gogesch of Thousand Oaks, chemistry major Hillis Johnson of Livermore and music and biochemistry major Hongsik Park of Canoga Park in David Kraehenbuehl’s “Variations on a Pavane for Krummhorns” by Hermann Schein and Alfred Uhl’s “Divertimento.” Geeting and faculty pianist Eric Kinsley will perform the “Sonata for Clarinet and Piano” by Arnold Bax and the “Concertino” arranged by Gordon Jacob on themes by Giuseppe Tartini. Geeting has performed extensively, played on soundtracks for motion pictures and television, and recorded clarinet works of major composers. He joined CLU’s music faculty in 1984, and this concert marks the 30th consecutive year that he has performed a clarinet recital concert at the university. Kinsley has performed and lectured in venues including the Getty Center, the Huntington Library and the Dorothy Chandler Pavilion. He performed and recorded at the Discoteca Di Stato in Rome and has broadcast on Public Radio and television. Samuelson Chapel is located south of Olsen Road near Campus Drive in Thousand Oaks. 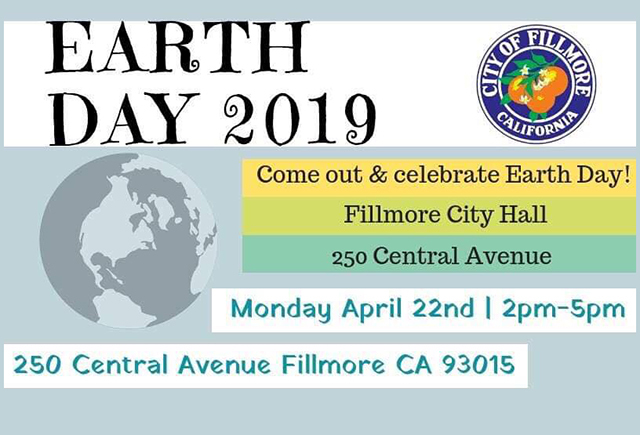 Additional parking is available in the lot at the corner of Olsen and Mountclef Boulevard. For more information, please call the Music Department at (805) 493-3306 or visit http://www.callutheran.edu. City of Santa Paula’s California Oil Museum Exhibit "Prehistoric California"
Opening September 14 is the newest exhibit at the California Oil Museum, titled Prehistoric California. This exhibit will enthrall audiences with fossils and history from California’s ancient days, when larger than life animals covered the land. Visitors will be able to view the skulls of some the most famous mega fauna such as the saber tooth cat, dire wolf, a prehistoric camel, horse and the formidable Harlan’s ground sloth. Other mammals and marine fossils from the Miocene and Pleistocene will also be on display. The specimens on display are borrowed from the Natural History Museum of Los Angeles, the Page Museum (La Brea Tar Pits) and Santa Barbara City College. Opening day will be a fun family adventure with tables of prehistoric fossils on display and demonstrations offered for the junior paleontologist, including a fossil dig in our Museum courtyard. Activities on Saturday, September 14th will start at 10am and go until 4pm. Admission is $4 adults, $3 seniors, $1 students (6-18), under 5 is free. More details on our website, www.oilmuseum.net. This exhibit will run until February 2, 2014. Field trips and fossil workshops are offered in conjunction to the exhibit and during the school year. Contact Bonnie Walters, Museum Educator, 805-933-0076 Ext.292, bwalters@spcity.org to sign up your class for a field trip. THOUSAND OAKS, CA - An exhibit of works by California Lutheran University’s art faculty is kicking off the fall season at the Kwan Fong Gallery of Art and Culture. Watercolor and oil paintings, drawings, dioramas, photographs and prints are on display through Oct. 4. A reception will be held at 6 p.m. Thursday, Sept. 12. There are eight featured artists. Michael Lynn Adams, a contemporary realist painter from Woodland Hills, was nominated in 2012 by art magazine editors to participate in the prestigious “Artists for the New Century” exhibition in Vermont. Barry Burns of Westlake Village is passionate about painting and sculpture, specializes in medical illustrations and photo animation, and creates dioramas, large non-objective abstracts and highly detailed photo-real paintings. Kristi Colell, a printmaker from Camarillo, has taught in Florence, Italy, and traveled throughout the United States, China and Europe seeking new vistas and panoramas. 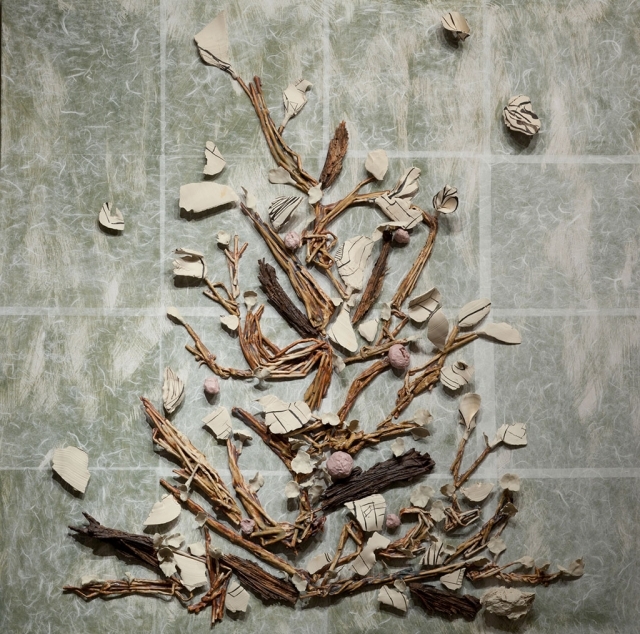 Janet Neuwalder, a sculptor and installation artist from Ventura, specializes in clay and ceramic processes. Her wall installations are often assembled from hundreds of fragments that seem to float on the wall. Michael Pearce, curator of the gallery, is an oil painter and installation designer from Thousand Oaks whose works are in many collections including those of Andrew Getty, Snoop Dogg and The Casey Werner Company. Tony Pro of Thousand Oaks works almost exclusively in oils and specializes in portraits, landscapes and still lifes, using as much natural light as possible rather than copying from photos. Terry Spehar-Fahey, a watercolor painter from Moorpark, teaches drawing, watercolor and a course titled Art and Psychology. She seeks to inspire her students with the joy of making art that reflects their unique selves. Brian Stethem, a fine art photographer from Fillmore, has traveled throughout the world documenting diverse places through the lens of his camera. 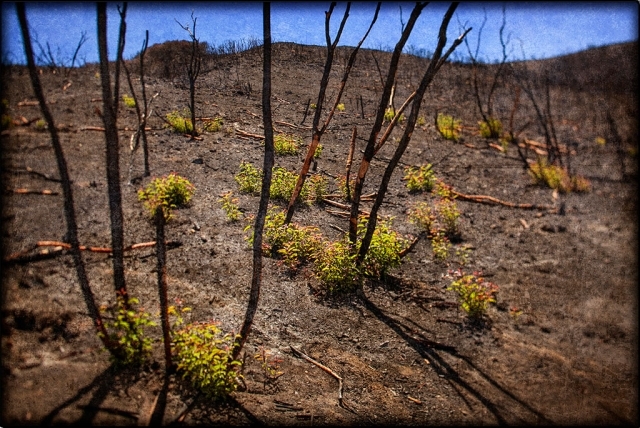 For this show, however, he is featuring a series of photographs of the areas burned in the Springs Fire. CLU’s Art Department is sponsoring the free exhibit. 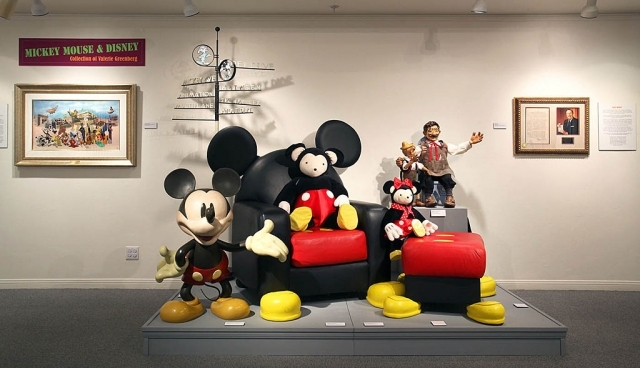 The gallery is located in the Soiland Humanities Center on the south side of Memorial Parkway on the Thousand Oaks campus. It is open from 8 a.m. to 8 p.m. Monday through Saturday. For more information, visit callutheran.edu/kwan_fong or call Michael Pearce at 805-444-7716. Camarillo, CA - CSU Channel Islands (CI) invites the public to sample the compelling work and presentations of its faculty in a free lecture series at libraries in Ventura, Thousand Oaks and Simi Valley. The lecture series offers community members the opportunity to hear from some of CI’s most dynamic speakers and experts; engage in discussions on a variety of timely, thought-provoking topics; and be a CI student for an evening in the free, convenient setting of their local library. Below are listings of scheduled speakers and topics for each of the three libraries. Thousand Oaks – Grant R. Brimhall Library, 1401 E. Janss Rd. Stem Cells – Boon or Bane? Wednesday, Sept. 4, from 7 to 8:30 p.m.
Join Dr. Nitika Parmar, Associate Professor of Biology, as she discusses the medical applications, advantages, disadvantages and controversies surrounding stem cells. Wednesday, Oct. 2, from 7 to 8:30 p.m.
Dr. Priscilla Laing, Associate Professor of Finance, will explore the influences, challenges and rewards of China’s unique business culture and offer perspectives on how global corporations can better grasp Chinese culture in order to succeed. Wednesday, Nov. 6, from 7 to 8:30 p.m.
Join Dr. Simone Aloisio, Professor of Chemistry, as he discusses climate change, the most important environmental issue of our time. Aloisio will cover the scientific basis for climate change, including the most recent findings on its causes and effects, as well as its impacts, adaptations and mitigation. Paradoxes and Shocking Outcomes in Math: Do You Still Believe in Math? Wednesday, Dec. 4, from 7 to 8:30 p.m.
Dr. Jorge Garcia, Assistant Professor of Mathematics, exposes logical arguments behind math paradoxes in a stimulating, philosophical discussion. Why can a turtle win the race over champion Olympic sprinter Usain Bolt? Is infinity the end of everything? Why can't the set of all sets exist? Why can a sphere be cut and be reconstructed to make two spheres of the same size? If an infinite hotel is full, why can we still accommodate an extra guest? Saturday, Sept. 14, from 5 to 6:30 p.m. Drawing from 20 years of research experience, Anthropology Professors Jennifer Perry and Colleen Delaney will present an overview of the prehistory of coastal Ventura County and the Channel Islands from an archaeological perspective. Learn why this region is so unique and the importance of the islands to people today. Saturday, Oct. 12, from 5 to 6:30 p.m. Recent data indicates that consistently “great” companies were not led by charismatic or transformational leaders but rather by leaders who possessed a blend of humility and strong personal will. Join Dr. Andrew Morris, Professor in CI’s Martin V. Smith School of Business & Economics, as he examines our fascination with leaders, possible predictors of humility, and ways in which we can develop greater humility and enhance our leadership abilities. Saturday, Nov. 9, at 5 p.m. Published authors and CI English Professors Brad Monsma, Bob Mayberry, Mary Adler, Sean Carswell and Sofia Samatar will read excerpts of their fiction, nonfiction or poetry and discuss the stories behind them, including experiences with multiple drafts, writing groups, writing stamina, and revisions. Community members are invited to add their perspectives during a brief Q&A session that follows. Friday, Sept. 27, from 6 to 7:30 p.m.
Australian actors have been Hollywood stars since the 1930s. They continue to play leading roles and win awards. Why are they so successful? Is it their training, their Aussie optimism, or their work ethic? Dr. Luda Popenhagen, Professor of Performing Arts, will discuss the ongoing success of Australian actors in the U.S. movie industry. Friday, Oct. 25, from 6 to 7:30 p.m.
Join Dr. Rachel Cartwright, Lecturer in Biology, for a glimpse inside the underwater world of humpback whales. Her presentation will include details of her research on humpback whales, underwater video, recordings of whalesong, and fascinating tales of a life spent working with whales. Friday, Nov. 22, from 6 to 7:30 p.m.
Finnish schools perform at the top in international tests. What makes them outperform other countries? Dr. Tiina Itkonen, Associate Professor of Education, looks at the structure of schooling, teacher training, and philosophy of education in Finland. All lectures are free and open to the public, with complimentary parking. Visit websites for the Ventura Library at http://www.vencolibrary.org/locations/epfoster, the Thousand Oaks Library at www.toaks.org/library, or the Simi Valley Library at www.simivalleylibrary.org/home/. Camarillo, CA - The Art Program at CSU Channel Islands (CI) is pleased to present “Visions of Past and Present,” an exhibition of paintings by CI alumni painters. The exhibition kicks off with an opening reception on Thursday, Aug. 29, from 6 to 8 p.m., and runs through Friday, Sept. 27, in the Art Gallery at Napa Hall. “Visions of Past and Present” spans 11 years of selected student paintings and investigates the evolution of the artists’ development since their respective graduations. Curated by Jack Reilly, Professor of Art, the exhibition showcases diverse painting styles ranging from hyper-realism to non-objective abstraction, as well as the uniquely creative styles of each participating artist and the range of painting techniques taught at CI. The artists featured in the exhibition are Kate Barnholtz, Dianne Bennett, Christine Brand, Josh Bricker, Christine Berne, Nick Capaldi, Susan Cook, Erika Craig, Nela Dunaway, Meghan Frontino, Leah Hsieh, Diana Reyes, David Shonhoff, and Cathy Warburton. 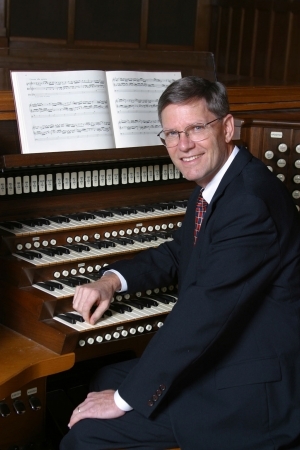 THOUSAND OAKS, CA - A prominent Santa Clara University organist will open the 2013-2014 Orvil and Gloria Franzen Organ Program Series at California Lutheran University. James Welch will present a free recital of the organ works of California composer Dale Wood in Samuelson Chapel at 7:30 p.m. Tuesday, Sept. 10. In 1993, CLU awarded Wood the Exemplar Medallion for his extraordinary contributions to the world of music. The concert will celebrate the 20th anniversary of this event and commemorate 10 years since Wood’s death in 2003. He has been active in The Church of Jesus Christ of Latter-day Saints’ music program. One of his compositions, “Bless Our Fast, We Pray,” appears in the church’s hymnal. He is a frequent guest recitalist at the Tabernacle on Temple Square in Salt Lake City and has taught as a guest professor at the Church Music Workshop held at Brigham Young University. Welch is the university organist and a music lecturer at Santa Clara University and was previously the university organist at the University of California, Santa Barbara. Wood, the late composer to be honored at the concert, has been called one of the most prominent figures in church music in the 20th century. His career as a composer began at the age of 13 when he won a national hymn-writing competition for the American Lutheran Church. His first choral anthem was accepted for publication the following year. He was a distinguished editor, author, organist and conductor, and the American Society of Composers, Authors and Publishers honored him multiple times for his contributions to the development of contemporary American music. Samuelson Chapel is located south of Olsen Road near Campus Drive on the Thousand Oaks campus. 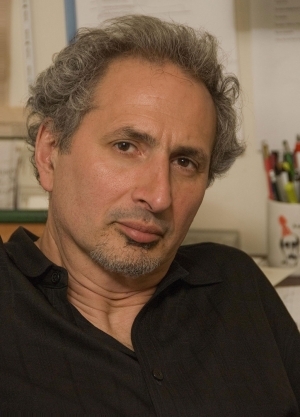 THOUSAND OAKS, CA - New York Times bestselling poet and nonfiction author Peter Balakian will discuss his 1997 memoir at a free public event as part of the California Lutheran University program that requires all freshmen to read the same book. Balakian will discuss his coming-of-age story, “Black Dog of Fate (An American Son Uncovers his Armenian Past),” at 7:30 p.m. Tuesday, Sept. 17, in Gilbert Arena. “Black Dog of Fate” is set in the affluent New Jersey suburbs where Balakian was the first-born son in an American-Armenian family. Immersed in the ideal all-American boyhood of the 1950s and 60s, he was unaware that members of his family, including his heroic grandmother, were victims of the Armenian Genocide. In unearthing the secrets of his family’s past, Balakian moves from childhood memories to history to his own coming of age. The book won the 1998 PEN/Martha Albrand Prize for the Art of the Memoir and was a best book of the year for The New York Times, the Los Angeles Times and Publisher’s Weekly. He is the Donald M. and Constance H. Rebar Professor of the Humanities, professor of English and director of creative writing at Colgate University. His awards and civic citations include a Guggenheim Fellowship, a National Endowment for the Arts Fellowship, the Spendlove Prize for Social Justice, Tolerance, and Diplomacy, and the Emily Clark Balch Prize for poetry from the Virginia Quarterly Review. He has appeared widely on television and radio, and his work has been translated into 12 languages. CLU’s freshmen were asked to read “Black Dog of Fate” before arriving on campus for New Student Orientation on Aug. 30, and the First-Year Seminar sections will explore the text throughout the semester. The First-Year Experience program helps students socially and academically with the transition to college by engaging them in a common learning experience, fostering their understanding of academic inquiry and prompting them to think about questions that matter in the world. Gilbert Arena is located in the Gilbert Sports and Fitness Center on the north side of Olsen Road near Mountclef Boulevard in Thousand Oaks. For more information, contact Jim Bond at jabond@callutheran.edu or 805-493-3244. THOUSAND OAKS, CA - California Lutheran University will hold a gala on Thursday, Oct. 3, to launch a $4 million fundraising effort for the new Elton and Janice Gallegly Center for Public Service and Civic Engagement. 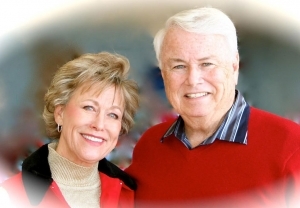 “A Salute to Service” will honor the Galleglys’ contributions over the last three decades. It will begin at 5:30 p.m. in the Air Force One Pavilion at the Ronald Reagan Presidential Library and Center for Public Affairs in Simi Valley. Frankie Avalon will perform at the black-tie optional dinner reception. The nonpartisan Elton and Janice Gallegly Center for Public Service and Civic Engagement at CLU will be dedicated to preparing a new generation of leaders. As part of the university’s Master’s in Public Policy and Administration program, the center will provide students with extensive experiential learning opportunities at the local, state and national levels. The focus will be on developing public servants of character and integrity. MPPA Director David Powell and faculty members Haco Hoang and Herb Gooch are developing a combined undergraduate and graduate degree program to put students on a fast track to careers in public service. Students selected as Gallegly Center Fellows will be able to pursue internships in Washington, D.C., Sacramento and locally. As graduate students, the fellows will complete a research project and field practicum that will prepare them for public service careers. Future plans for the center include providing student scholarships and public affairs research grants, bringing in visiting scholars and speakers, and hosting forums on public service highlighting leadership and civic engagement. CLU and Ronald Reagan Presidential Foundation & Library officials are discussing a partnership that could provide additional opportunities. Possibilities include students interning at the library and scholars under joint appointments conducting research at the library. Gallegly, who just left Congress after completing his 13th term, is loaning his legislative and personal papers to CLU so that students and faculty can use them for research. He is also donating his desk and other office furniture for display at the university. The Simi Valley resident is the longest serving congressional representative in Ventura County history. He began his public service when he was elected to the Simi Valley City Council in 1979. Tickets are $250. Sponsorship opportunities are available. All proceeds will benefit the Gallegly Center at CLU. Reservations are required by Sept. 20. 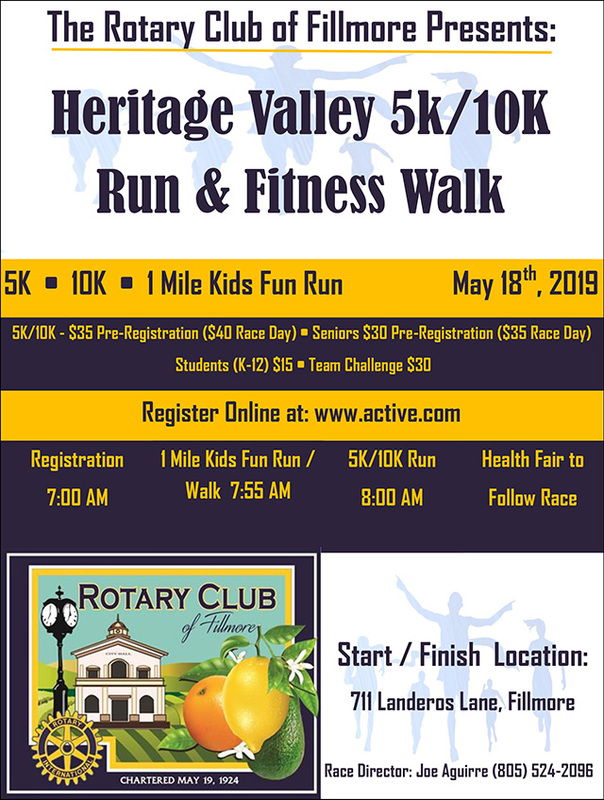 For more information and to register, go to www.callutheran.edu/gallegly or contact Liane Smith at ljsmith@callutheran.edu or 805-493-3160. Susan Zamudio-Gurrola will speak about the twentieth century history of Ventura County farmworker housing at the Museum of Ventura County’s Agriculture Museum, on Thursday, October 10, 2013, at 2:00 p.m. The speaker, who earned a Bachelor of Arts in Art and Architectural History at UCSB and a Master of Arts in Historic Preservation at USC, has studied Ventura County farmworker housing since graduate school and made it the subject of her Master’s degree thesis. She contributed a chapter called "Preserving Minorities' History: The Labor Camps of Mexican Braceros" for the book Que Fronteras? Mexican Braceros and a Re-Examination of the Legacy of Migration, published in 2010 by Dr. Paul Lopez. Zamudio-Gurrola has worked for the California Oil Museum, the Museum of Ventura County Agriculture Museum, and for historic preservation consultants. Zamudio-Gurrola has documented Ventura County farmworker housing through a combination of research and personal interviews. She investigated ownership and occupancy history, as well as the development history of properties through building permits, city directories, county files, aerial photographs, property maps and historic photographs. Numerous interviews with ex-braceros, labor camp owners and labor camp managers provided details not found in written documents. Awarded a U.S. Congressional Citation of Merit, “The Migrant Project: Contemporary California Farm Workers - Photographs and Text by Rick Nahmias” is making its final public appearance in Santa Paula, through October 20, 2013. It has toured dozens of venues across North America since its premiere in 2003, and finishes its run just a few miles away from where the first photographs for the project were taken. Nahmias crisscrossed the state, from Calexico to Sacramento, documenting stories of some of the hundreds of thousands of migrant farm workers who harvest the crops that end up on American dinner tables. His photographs of work and personal life aim to foster a greater understanding of, and sense of empathy towards, farm workers. “The Migrant Project” is co-sponsored by California Rural Legal Assistance Inc., Center for Latino Policy Research, and The Kurtz Family Foundation. Zamudio-Gurrola will illustrate her thirty-minute Gallery Talk with both historic and personal photographs, and time for questions and answers will follow. Admission to the Gallery Talk is free for MVC Agriculture Museum members, is included with regular admission for the general public, and includes entrance to the current temporary exhibition, “The Migrant Project: Contemporary California Farm Workers - Photographs and Text by Rick Nahmias.” A Gallery Talk on another topic will take place at the Santa Paula Art Museum immediately afterward, at 3:00 p.m. Free parking is available at both Museums. California State Old Time Fiddlers District 8 will meet Sunday Aug. 25, 2013 from 1:30-4:30pm at the Oak View Community Center, 18 Valley Road, Oak View. Come out for an afternoon of playing, listening and dancing to Country Western and Bluegrass music. No admission or parking charge. Refreshments available. For more information and to find out about upcoming workshops go to calfiddlers.com or call 805-797-6563. 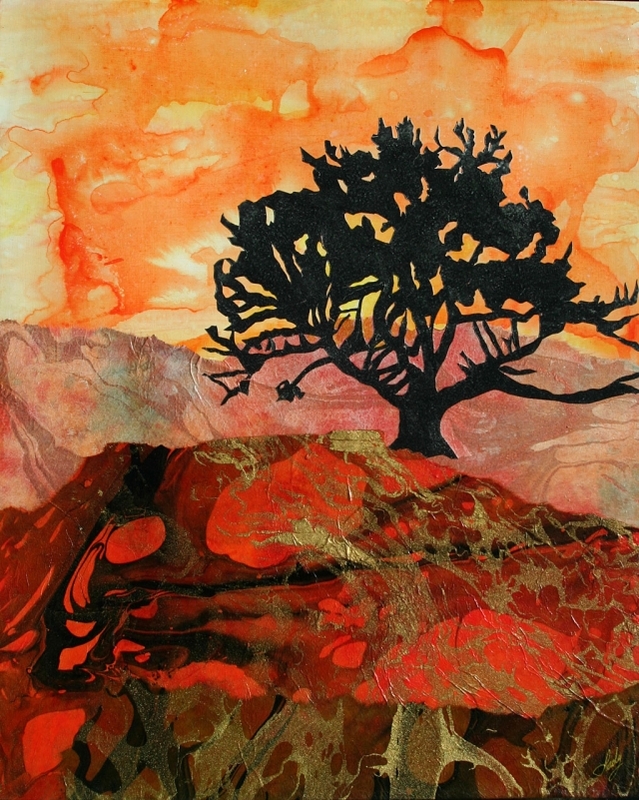 The Artists Guild of Fillmore presents "ART 524" at the Ojai Center for the Arts from August 31 -October 2, 2013. The nine artists who comprise the guild create work in a variety of media , which results in an energetic, eclectic , inspiring artistic display. 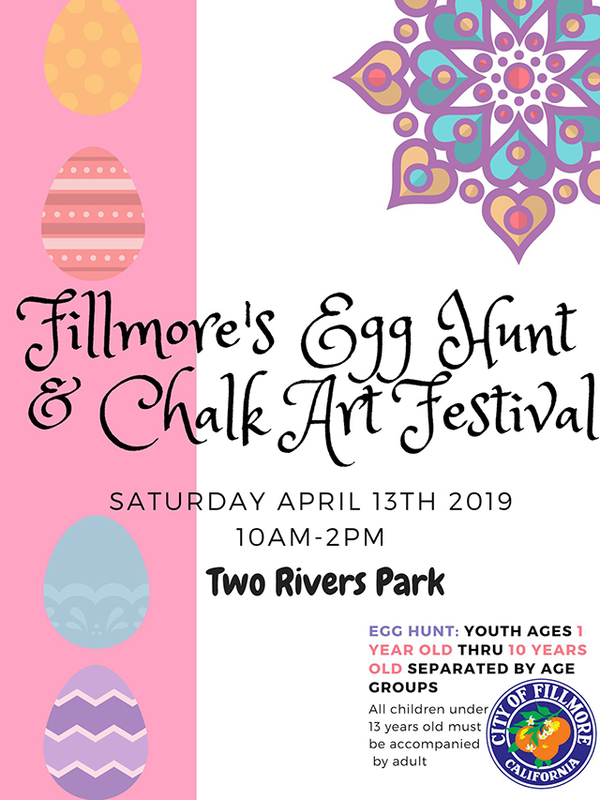 All the artists reside in Fillmore and represent many walks of life, some are retired and some still engaged in their professions. They are teachers, nurses, librarians, ranchers, legal secretaries, film editors, vocalists, and musicians with common threads that bring them all together as working artists. Participating artists are:Karen Scott Browdy(Collage, Assemblage and Mixed Media), Judy Dressler(Oils), Lady Jan Faulkner(collage, photography and mixed media), Lois Freeman-Fox(Oils, Acrylics, Digital Photography, Wana Klasen(Water Color, Acrylic and Mixed Media) Joanne King (Water Media), Virginia Neuman(Oils, Drawing, Water Color),Doris Nichols (Encaustic) and Luanne Hebner Perez(Water Color, Collage). The public is invited to enjoy a reception and meet the artists on Sunday, September 1, 2013 from 1-3 pm. The Art Center is located at 113 South Montgomery in Ojai, California. The Art Center hours are Tuesday through Sunday, noon till 4pm. 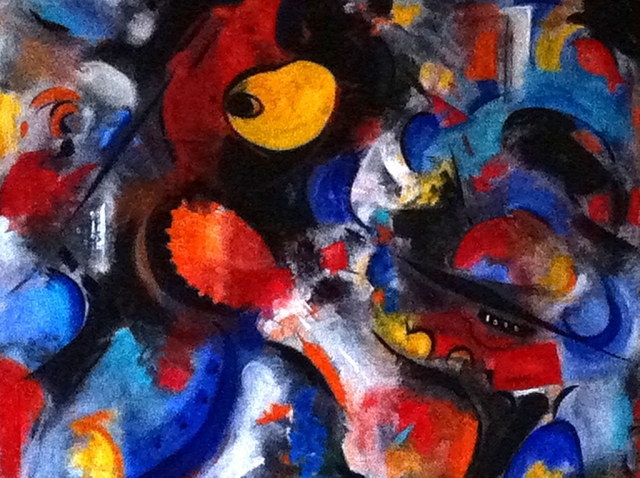 So “Crossover,” a Sept. 10- Oct. 5 solo exhibition at the Buenaventura Gallery in downtown Ventura, will feature art glass, textiles, etchings and photography by Klebaum with shared — and transformed — imagery. On display will be about 35 pieces, from an 8-inch-tall vase to a 36-by-24-inch textile. She will attend a reception 4-7 p.m. Sept. 21 and plans a 6:30 p.m. presentation about her process and the often-surprising results on Oct. 4 during Ventura’s First Friday Gallery Crawl, which goes from 5-8 p.m.
“I will talk about how an image can morph almost serendipitously as it appears in glass, textile, printmaking and photography,” Klebaum said. “I love to explore the element of line. My work explores how this element transforms when it is expressed in different media. 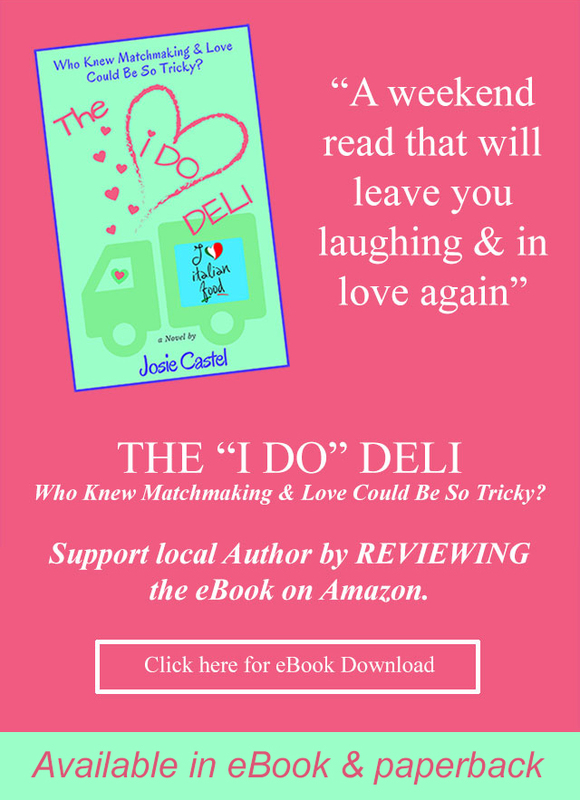 She grew up in the San Diego area, earned bachelor’s and master’s degrees in history at UCLA, then met and married Noel Klebaum while both were in law school at Loyola Marymount University in L.A. Soon after they passed the Bar Exam, she bore their son Nicholas (now 35). She was an editor for a legal journal and studied stained glass, quilting and calligraphy “when Nick was but a wee lad” before starting her law practice. While in general practice for 15 years in Ventura, she also taught legal research and legal writing at the university level and “found it much more rewarding than working in an adversarial system.” That led her at age 46 to trade the courtroom for the classroom, and she returned to grad school. She went into teaching: scientific writing for biomedical researchers at UCLA and linguistics and law-related courses at the Osher Institute at CSU Channel Islands, where her brain and language course proved so popular it needed a larger classroom. Throughout her law and teaching careers, Klebaum continued as a traditional quilter until 2007, when she discovered more exciting fabric art possibilities at Quilters’ Studio in Newbury Park and owner Eileen Alber’s monthly Extreme Quilters group. 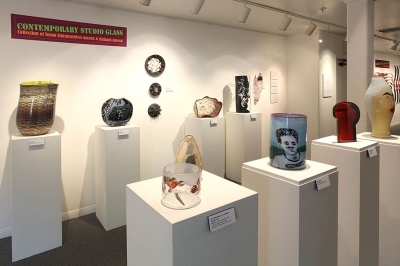 Then, for a better grounding in art principles, she took courses at Ventura College in figure drawing, head drawing and digital imaging and learned to create fused glass art. In 2010, she left teaching behind. 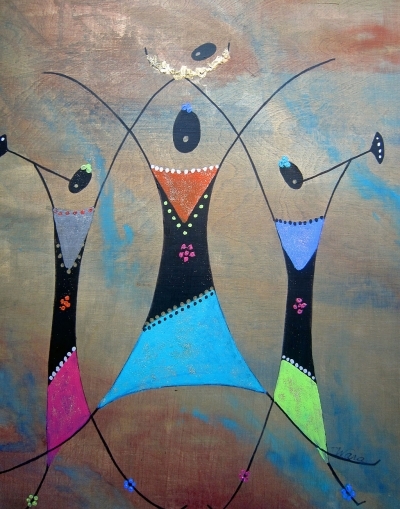 A few examples of Klebaum’s art are on the Web at http://pamprice.blogspot.com. Many more examples will be on display at “Crossover” in the Buenaventura Gallery, 700 E. Santa Clara St., which is open 11 a.m. to 5 p.m. Tuesdays through Saturdays. For more information, visit the nonprofit Buenaventura Art Association’s website, http://www.buenaventuragallery.org, or call the gallery at 648-1235. Their paths had crossed once, but two Conejo Valley painters found the common ground in their art explorations when they agreed to a duo show next month at Buenaventura Art Association’s gallery at Ventura Harbor. 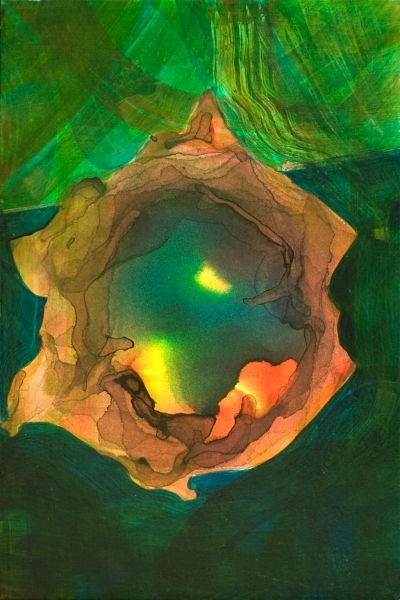 Dorothea Heger of Newbury Park and Robin Tripaldi of Thousand Oaks will offer a journey into their unseen worlds in “Elements Unknown: Abstraction” from Sept. 4-30 at Harbor Village Gallery. Heger has painted professionally for 13 years, while Tripaldi has done it full-time for six years, but both are lifelong artists who create nonobjective, abstract expressionist works, often in mixed media. They paired up for this show at the suggestion of BAA Executive Director Sharon Taylor. For Heger, the media mix includes acrylic paints and ink on canvas, watercolor paper and illustration board with collaged elements that include metal, glass, plastic, fiber and other natural materials. She said she begins a piece with tension, “a feeling to create,” then uses intuition and feeling to do each part of the work and gradually relaxes. Heger said it’s energy-draining, but in a good way, and completing a painting leaves her feeling energetic and fulfilled. She plans to show abstract pieces she calls “calming and peaceful” and some mixed-media artworks that are more free, experimental, exciting and riskier. She usually works outside, she said, where her art dries quickly, intensifying the colors. Tripaldi also paints in acrylics, uses them in her mixed-media pieces, and works in encaustic, a process employing beeswax and resins to fix colors to a surface. “I’m excited to be involved in promoting encaustic painting, painting with a molten wax mixture. While it’s an ancient technique, it has only experienced a revival in the last 50 years, beginning with Jasper Johns and Robert Rauschenberg,” she said. Her show will include some “loud and proud” acrylics and some small encaustic pieces, she said. Both women will be present to discuss their art and methods at two receptions. One will be 4-7 p.m. Sept. 7, the Saturday after the show opens, and a Sunday afternoon closing reception is planned 3-5 p.m. Sept. 29. Hegel plans to show 10 to 13 pieces that range from 11 by 13 inches to 30 by 24; Tripaldi will have at least 10 works from 12 by 12 inches to 48 by 36. Both have examples of their works on the Web, at www.dorothea-art.com and www.robintripaldi.com. Harbor Village Gallery, at 1591 Spinnaker Drive in Ventura Harbor Village, is open 11 a.m. to 7 p.m. daily except Tuesdays and stays open until 8 p.m. Fridays and Saturdays. For more information about this exhibit or the nonprofit Buenaventura Art Association, call 648-1235 or visit the website www.buenaventuragallery.org. The Ojai Photography Club welcomes Sherron Sheppard, Photographer and Fine Artist, to its Tuesday, August 20 meeting at 7 pm, Help of Ojai’s, Kent Hall, at 111 Santa Ana Street, Ojai, CA. Her presentation, “Images with Vision,” will encompass her personal approach to creating images and the creative use of composition and design used in giving her photographs more impact. 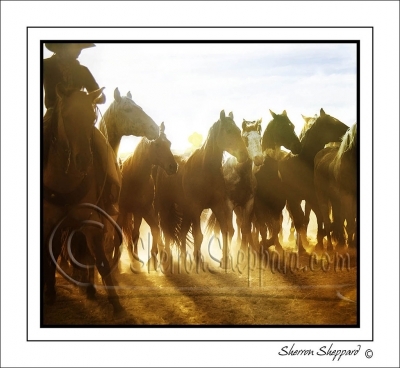 Sheppard has received innumerable awards and accolades for her photography, from Professional Photographers of California (PPC) and other entities. She is Professional Photographers of America Certified and holds Master of Photography, Master of Electronic Imaging and Photographic Craftsman degrees. 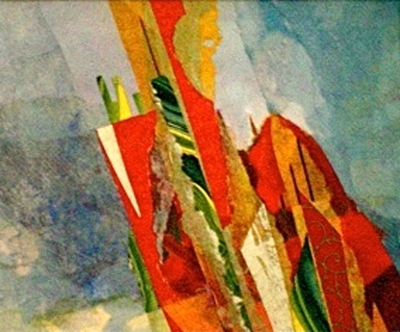 Her photographs and paintings have been exhibited nationally. 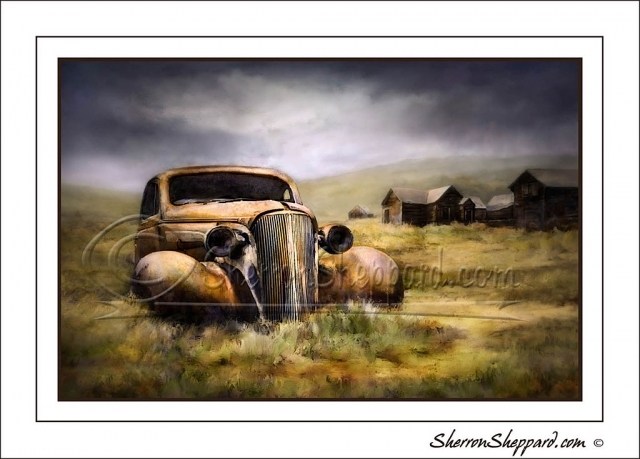 In addition to photography, Sheppard is a traditional artist, designs jewelry and has worked in acrylics, watercolor and pastels for over 40 years. She teaches and displays her work at her art gallery located in the Studio Channel Islands Art Center, Camarillo CA. Sunday, August 25, 4:00 to 5:30 p.m.
Ojai Valley Museum presents a Town Talk related to the current exhibition, “Ojai Collects,” which showcases selections from eight Ojai private collections. The exhibit runs through Sunday, September 15th, 2013. The talk will be held on Sunday, August 25 from 4:00 to 5:30 p.m. in the Rotating Gallery of the museum. Michele Ellis Pracy, Ojai Valley Museum Director and Curator of “Ojai Collects”, will moderate the panel discussion, “The Joy of Collecting”. The panelists include four collector/lenders to the current exhibit: Richard Flores (Archery Bows), Valerie Greenberg (Mickey Mouse & Disney), Richard Matzkin (New Guinea/Sepic River carvings), and Kevin Wallace (Southern Outsider Art). 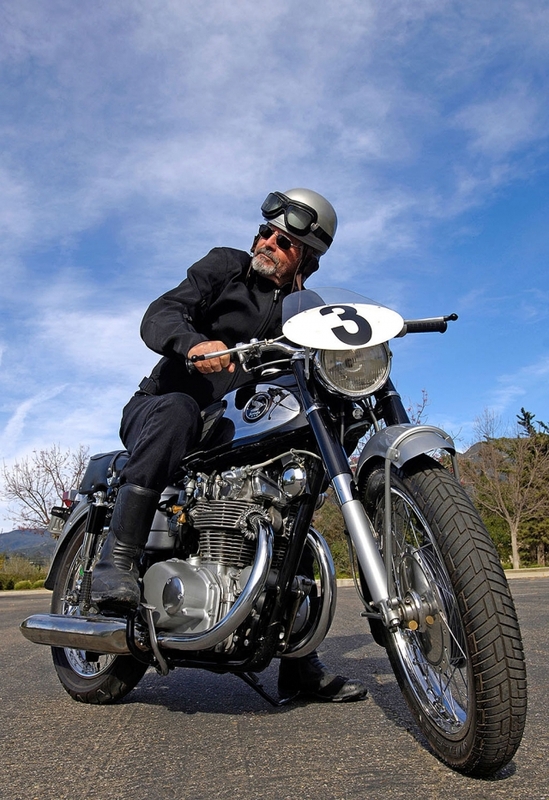 An additional panelist is the premier Ojai automobile collector, Dwayne Bower. The purpose of this enrichment event is to reveal through questions, answers, and stories, the joys of collecting, the many ways of collecting, and the psychology of collecting. In essence, how does a private individual choose a passion/avenue/focus of collecting, and how is that manifested in their personal life? Mark your calendar and plan to attend this revealing and insightful adjunct experience to the Ojai Collects exhibit. 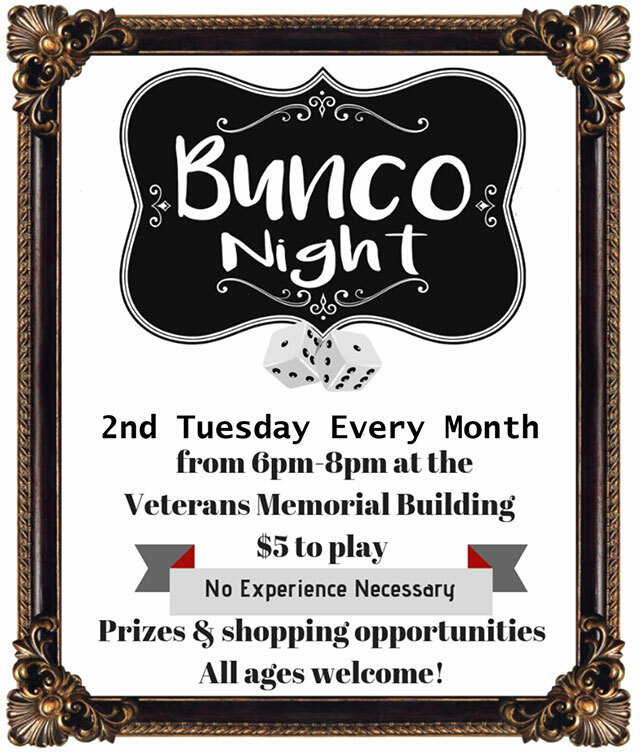 Members are FREE and non-members are $5.00 at the door. Seating is limited, so please call the museum office to reserve seats @ (805) 640-1390 x 203. 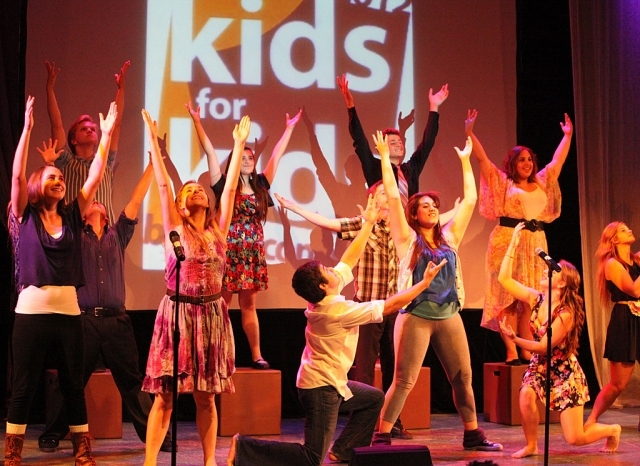 Friday, September 13, 5:00 to 6:30 p.m.
Come together and celebrate the talented Rubicon Theatre youth artists as they wrap up the summer with the fifth annual KIDS FOR KIDS BENEFIT CONCERT, a youth produced fundraiser that benefits Rubicon’s Education & Outreach program. This year’s concert entitled “COME TOGETHER: THE MUSIC OF THE BEATLES” is inspired by the band’s music and message of love and togetherness. The evening will feature Rubicon students, teachers and special guests performing some of the greatest Beatles hits in their own styles and arrangements. You’ll want to sing along to the tunes we all know so well, such as “Let it Be” and “All You Need is Love.” The night will be hosted by Rubicon Alumni JENNIFER RIDGWAY and DANIEL DAVID STEWART, and will include a raffle with many prizes from local businesses as well as other special surprises. JENNIFER RIDGWAY (Co-Host) is grateful to be returning to the Rubicon stage and is so excited to be emceeing for the first time. Her theatre credits include Buried Child (Shelly; Four Star Theater Award - Outstanding Featured Performance), King John (Constance), Macbeth (Lady MacDuff), Much Ado About Nothing (Hero), Hairspray (Amber), A Midsummer Nights Dream (Helena), Little Women (Jo), Our Town (Mrs. Webb), and Defying Gravity; directed by Jenny Sullivan. Jennifer (A.K.A. Red) has called this wonderful theater her home for most of her life, and was very proud to co-produce the annual "Kids for Kids" benefit at Rubicon in 2011. Thank you for supporting our local talented youth!